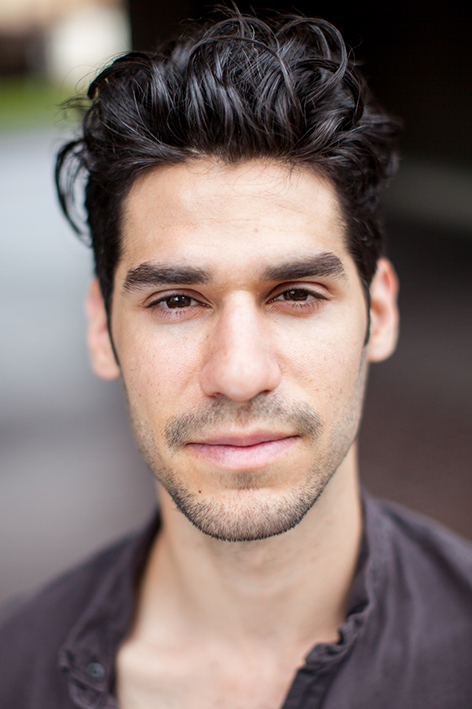 Raphael Eilenberg, an unassuming young American is a final year theatre student from the London Guildhall. 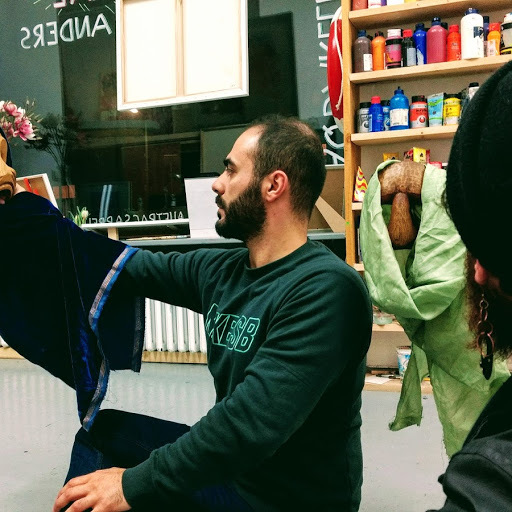 Last week saw the end of a theatre workshop he held with the help of friends, on the top floor of the disused Bel Ahr hotel, now a refugee centre. In this light-flooded space, he took young people on a journey of expansion, vocalisation and connection, through exercises used by professional actors. When I was asked to come see the result of their efforts, I wasn’t expecting to get goosebumps at witnessing the strength of the human spirit. Synergy, vulnerability and delight were words that sprang to mind. Rather than a performance it was an invitation to watch the theatrical process unfolding and the audience found themselves captivated. “I don’t know what I just witnessed here, but it was a lot of fun!” burst out Leander Jones, a spectator nearby. Raphael’s instinct to be thoroughly transparent with the audience had the effect of plucking the spectator out of his seat and placing them deftly in the rehearsal room. Witnessing the actors’ struggle to let go just that little bit more in the embodiment of a character, or in stretching their emotional repertoire in ways that takes them by surprise allowed for an uncommon intimacy. “Their stories are incredibly valuable to the world, yet so difficult to express,” the he tells me. Eilenberg was introduced to the Berlin refugee community in December 2015 when he took part in a play performing in over ten centres in ten days. Friendships made then brought him back to the German capital during his free time, eventually setting the stage for the workshop he just held. 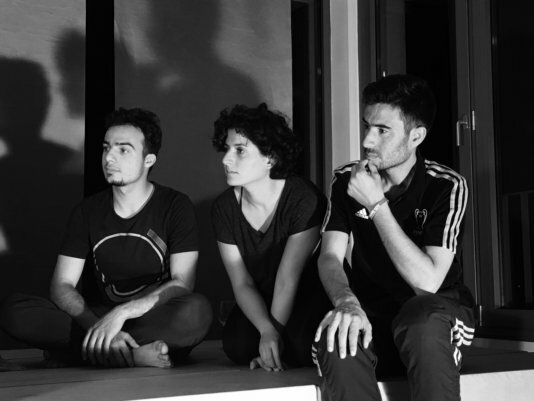 But what role does theatre play in the integration efforts for migrants? In a director’s role, Raphael’s passion for his actors to reach the farthest nooks and crannies of their being was apparent and I was curious where this intensity came from. It turns out he has a history with the refugee community. Following his first exposure to the crisis in 2015, he and friend Dana Haddad had volunteered at a refugee camp in Thessaloniki, Greece the following spring. He looks down at the table as he speaks softly about his connection to the migrant community. “I witnessed the very critical emotional effects being displaced had on my friends, who spent months almost entirely within the confines of the camp, either without the financial means or legal rights to travel far- who had no possibilities of continuing their education that was disrupted by war…” he tells me. He was galvanised by the generosity and resourcefulness of the asylum seekers themselves, mentioning a school, a pharmacy and a bakery that they had set up. He talks about long chats relating to each other’s ambitions as young people and crowing into the night almost in defiance of the harsh environment. Together with others, he set up a crowdfunding site to procure prenatal vitamins for the most vulnerable group present. Raafat Dumani, a workshop participant from Syria who hadn’t missed a class, lights up when asked what got him out of bed and on the long train ride everyday. Arabic pours out as he speaks animatedly. “It was the first time I really experienced letting myself go.” He relays the sometimes intense discomfort of the process but then emerging with new ways of being and moving his body. Hearing his voice reverberate through the room was a revelation, and he is now doing things he wouldn’t have done before. Eilenberg, his musical director, Sebastian Espinosa and the resident interpreter, Dana Haddad, took it upon themselves to cultivate a family like environment for the students; a safe, non-judgmental space conducive to emotional exploration. “Sometimes I feel my heart beating very fast because I don’t know what will change in me this time.” Dumani said beaming, the self-proclaimed introvert nowhere in sight. Eilenberg envisions a space and a network in Berlin where this community, and its supporters can give voice to this experience through writing, performance and educational outreach. December will see another workshop. To support the program, see JustGive or Facebook. From left, Raafat Dumani, Dana Hadid and Mustafa Saloum speaking to writer.